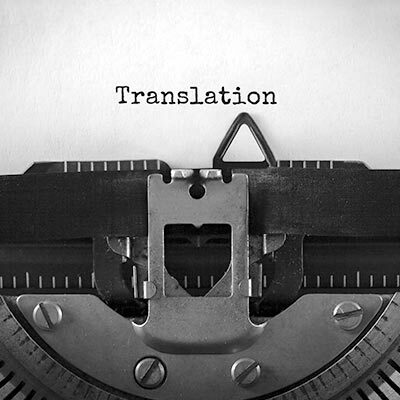 Join our speakers -- Jenny McPhee, Ann Goldstein, and Giovanna Calvino -- for a discussion of the art of translation, women, and Italian literature. They have translated works by Natalia Ginzburg, Italo Calvino, Primo Levi, Elena Ferrante, and Anna Maria Ortese, and they will talk about those experiences: the process for translation, why it is important, how translations endure over time, why works need to be retranslated, how we build a readership for works in translation, why Ferrante became so wildly popular while Ginzburg did not. These topics and many others will be explored at what promises to be an insightful and engaging discussion. Presented by the Department of English and MFA in Creative Writing Program, in collaboration with the Hofstra Cultural Center. Giovanna Calvino oversees the literary estate of her father, Italo Calvino, whose renowned works include the Our Ancestors trilogy, the Cosmicomics short stories, and the novels Invisible Cities and If on a Winter's Night a Traveler. She closely follows the retranslation of his complete works into French and some titles into English. She is the author of the children’s book Ma Sorcière et Moi, which has been published in Italy and France. Ann Goldstein is a former editor at The New Yorker. She has translated works by, among others, Pier Paolo Pasolini, Elena Ferrante, Italo Calvino, and Alessandro Baricco and is the editor of the Complete Works of Primo Levi in English. She has received a Guggenheim Fellowship and awards from the Italian Ministry of Foreign Affairs and the American Academy of Arts and Letters. Jenny McPhee is the author of the novels The Center of Things, No Ordinary Matter, and A Man of No Moon, and she is a co-author of Girls: Ordinary Girls and Their Extraordinary Pursuits. Her translations from Italian include books by Natalia Ginzburg, Primo Levi, Giacomo Leopardi, Curzio Malaparte, Anna Maria Ortese, Paolo Maurensig, and Pope John Paul II. She is the director of the Center for Applied Liberal Arts at NYU’s School of Professional Studies and is a founding board member of the public school The Bronx Academy of Letters.